Surf and Sand is your go to condominium for oceanfront views in Seaside! 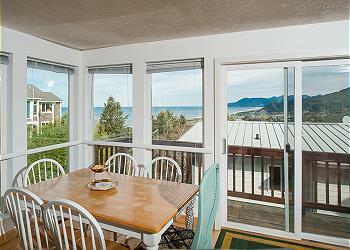 Located right along the boardwalk, you'll wake up with a beautiful view and the sound of crashing waves while staying at this Oregon coast getaway every day! When you're not relaxing in your unit, head out to the boardwalk and head down to the promenade! You'll find several shops and restaurants to explore while in Seaside. Cannon Beach is a short drive to the south, and Gearhart is just a short drive to the north, where you can find plenty more things to do while staying on the Oregon coast. Make sure to get on the beach and explore the rugged coastline while you're here as well. There are several beach events that take place on the beach during summer months. Book your stay today, and you'll have plenty to do while staying at the Surf and Sand Condominium!